Silversea launches its new flagship Silver Muse; with fewer than 600 guests and over 400 crew, the newest all-suite, all-butler service environment at sea embodies classic, small ship luxury cruising. The Silver Muse has set sail, ceremoniously delivered to the cruise line in Genoa, Italy. She was blessed by His Eminence Cardinal Angelo Bagnasco of Genoa before launching on a summer of Mediterranean itineraries. The Silver Muse then sails to the Americas (Canada / New England then onwards to South America) for the fall/winter. Fans of cruising on Silversea will feel right at home. The Silver Muse is an evolution of the most recent (2009) Silver Spirit. It hones an ultra-luxury ocean travel experience, while maintaining the small-ship intimacy and spacious all-suite accommodations that are the hallmarks of the Silversea experience. The Silver Muse brings the Silversea fleet to 9 ships. 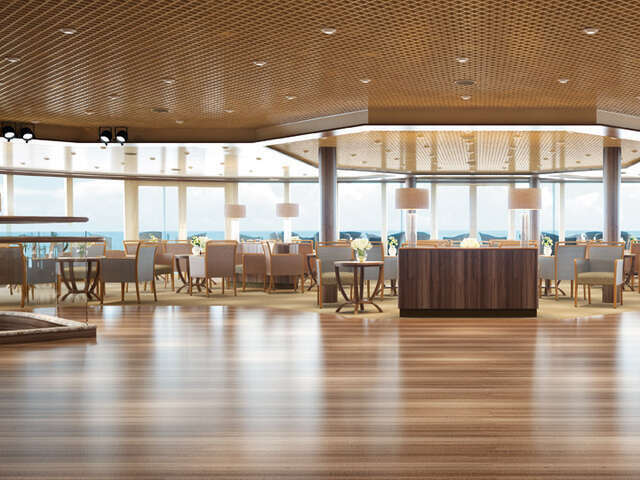 Silver Muse accommodates 596 guests, and offers the highest number of large suites (Silver, Royal, Grand and Owner's) in the fleet, and the greatest number of connecting suites for families and friends. Gracious and expansive outdoor spaces change character from morning to afternoon to evening. Overall, Silver Muse offers a welcoming and understated blend of spaciousness, luxury, and comfort. La Dame. As part of the continuing relationship between Silversea and Relais & Chateaux, the menu of this restaurant was developed by the Relais & Chateaux team to reflect French cuisine at its highest standard of excellence. Two Italian restaurants, reflecting the Italian heritage of Silversea: La Terrazza, and Spaccanapoli. Two Asian-themed restaurants:Indochine, a pan-Asian journey of culinary discovery, and Kaiseki, theatrically traditional, peak Japanese cuisine. 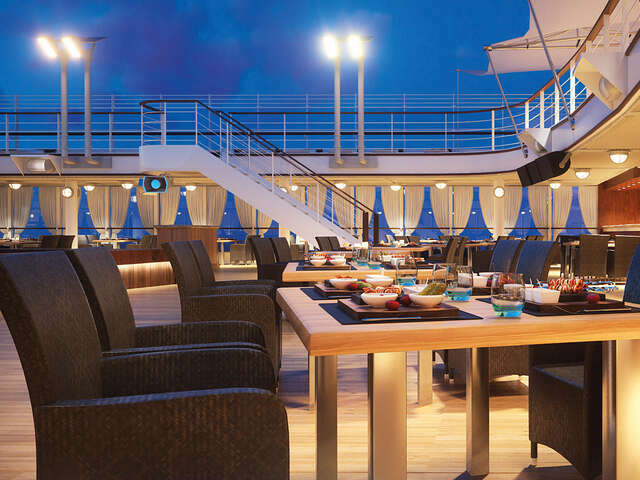 On a lighter note, both from an experience and a health perspective, the must-try Hot Rocks is fun, informal, and even a wellness option.Silversea's wildly popular evening al fresco restaurant lets guests grill their own meals on lava stones at the table. Another less structured entertainment/ dining experience is Silver Note, where tapas-style international cuisine is accompanied by jazz, blues, and of course, your favorite wines and cocktails. 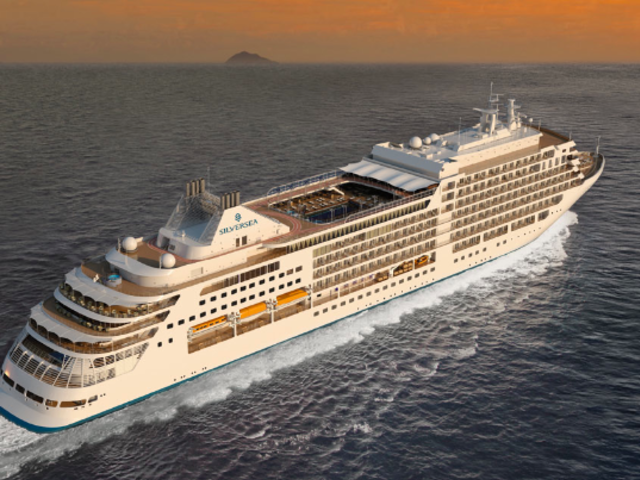 You'll also be delighted to learn that the new Silver Muse has features that set new standards to minimize air, water and even noise pollution. So you can feel good about the results for you, a relaxing and luxurious cruise, and for the world you travel.